Last year was monumental for video games, and what’s about to come will be even greater. Video games have come a long way, and the good news is they’re not going anywhere. Consoles are more powerful than ever, so it’s only natural to expect greatness in the near future. Because we want to remember the good, let’s check out some of the best video games that made history back in 2013. Are you ready to shoot the neo-Nazi and annihilate whatever’s lurking in the tunnels of the Russian metro? If you haven’t played Last Light in 2013, it’s never too late to give it a go. Upgrade your equipment and don’t forget that your gas mask needs new air filters all the time. The first-person shooting game was hailed for its beautiful graphics and interesting story and some specialty websites claimed it was one of the most daring games of 2013. The 6th installment of the Tom Clancy series managed to impress avid gamers with its storyline. 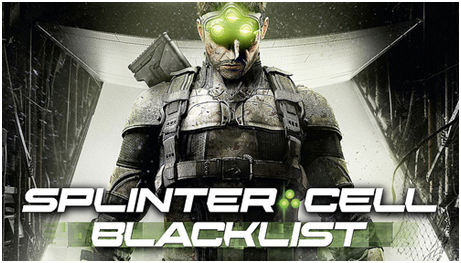 The action adventure stealth game focuses around the main character, Sam Fisher – a spymaster – who must do everything in his power to complete his missions. Gamers really enjoyed the voice integration with their Xbox 360 Kinect peripheral – it allowed players to chat, distract their enemies, and attack. Tom Raider was crying for a reboot, and thank God they made one. It proved to be one of the best games of 2013, and hands downs, the best of the all sequels. Seeing the iconic Lara Croft come back to life was like a breath of fresh air. Not many video games with female players can entice just as much as Tomb Raider did last year. As far as the actual gaming experience was concerned, gamers really liked that the character was realistic, strong, and not that sexualized like in other versions of the game. Combining desperate survival techniques, astounding fighting strategies, and killer visuals, we have to include the game in our best video games to remember in 2013. The hack & slash video game in questioning is the 9th canonical entry of the series. Revengeance focuses its gameplay on fighting enemies employing multiple sub-weapons and a sword to perform combos and annihilate their enemies. Hailed for its intricate cutting system, the game was additionally commended for its story, action, and intense boss fights. Two Souls is like anything you’ve seen before in video gaming. The main character-player is Jodie Holmes – who is played by famous actress Ellen Page – an ordinary woman bound to a supernatural entity called Aiden. The video game favors cinematic insight over gameplay, and because of that Two Souls looks extremely realistic. The stellar performance of Ellen Page makes beyond so enticing, not to mention that Quantic Dream did a really good job with the graphics. The Last of Us was one of the finest games of 2013. The survival action-adventure horror game focuses its attention on the player-character of Joel, who must ensure that young Ellie (the cure to a severe infection) gets to the resistance group safe and sound. Applauded by the critics for its voice acting, writing, level and sound design, and art direction, The Last of Us sold more than 1.3 million copies in 7 days after the release. We certainly had a lot of fun in 2013, and now that 2014 is here, we can only wait for the games to be even more challenging. Avid gamers have great expectations from the industry, especially now that Xbox One and PlayStation 4 are creating such a buzz. Author Bio: Christopher Austin wrote this amazing article. He has over ten years experience as a freelance writer and guest blogger. He also runs an online gaming site for sniper games 365 where you can play all great sniper games free. My vote certainly goes to “The Last of Us”. Amazing game!